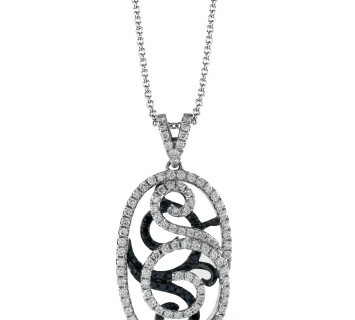 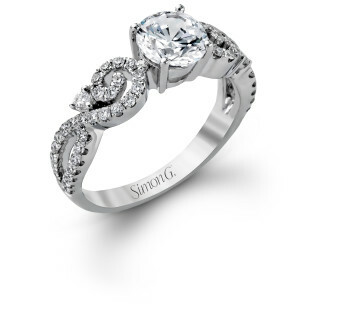 Hinkamp Jewelers is proud to feature the designer brand Simon G at our Fayetteville jewelry store. 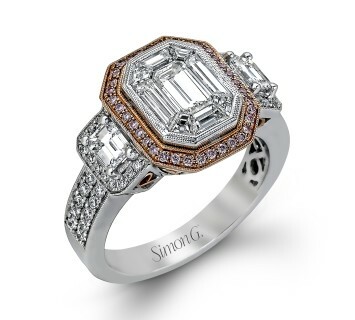 When it comes to beautiful jewelry, no detail is too small to be ignored and the jewelry designers at Simon G make sure of that. 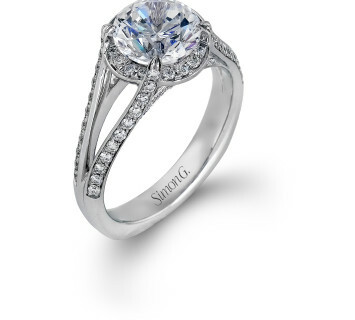 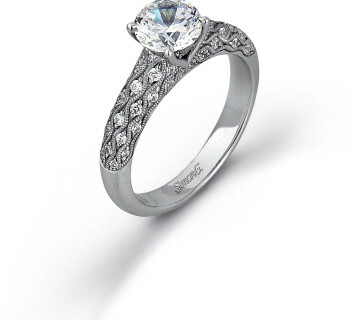 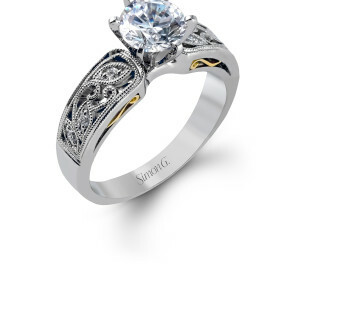 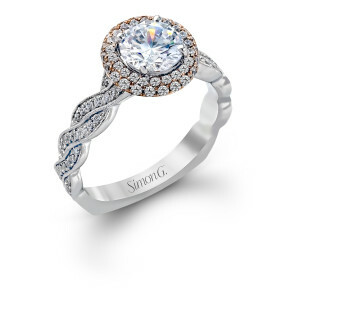 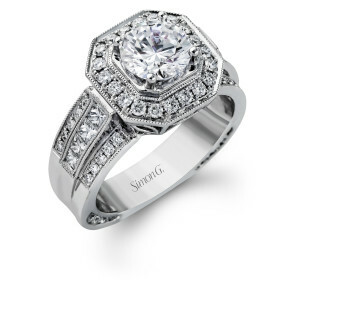 Whether you are looking for fashion jewelry or engagement rings you will find it in our Simon G collection. 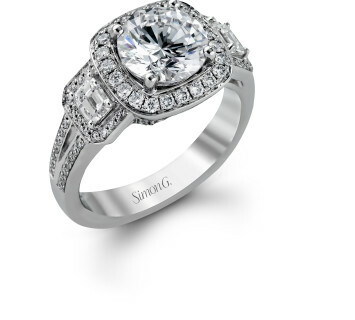 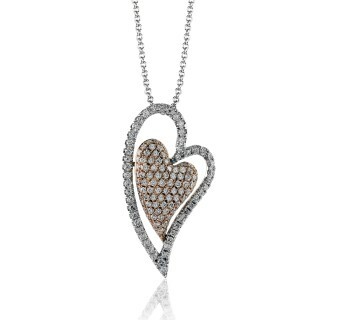 In addition to Simon G, Hinkamp Jewelers is proud to feature a wide variety of designer jewelry collections at our Fayetteville jewelry store, including Hearts On Fire, Southern Gates, Colore, Galatea, Kimberley, Frederick Goldman and ArtCarved Bridal. 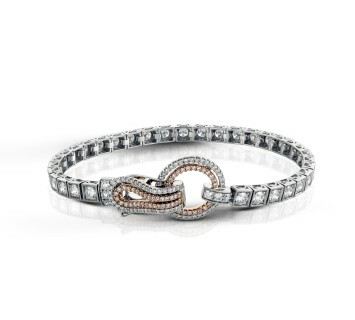 Known in our store as “the bracelet”. 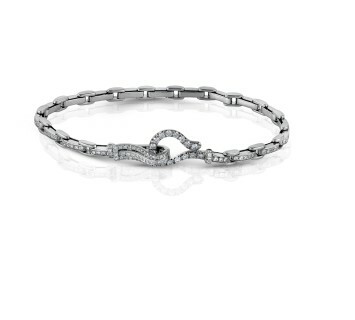 The award winning bracelet you cannot lose. 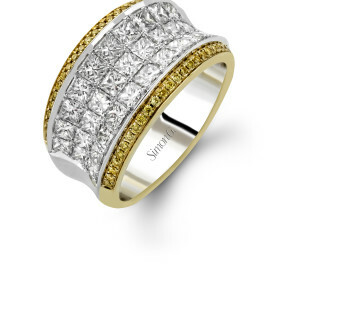 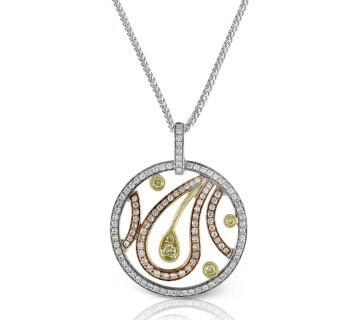 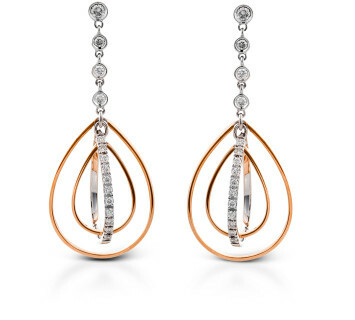 Available from 1ct to 5 cts, seriously… you need one. 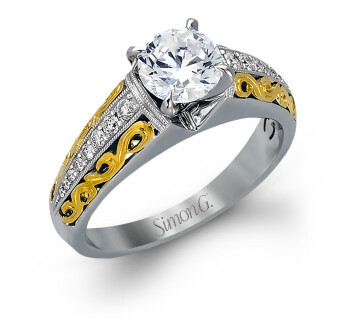 Part of the Simon G’s best-selling set. 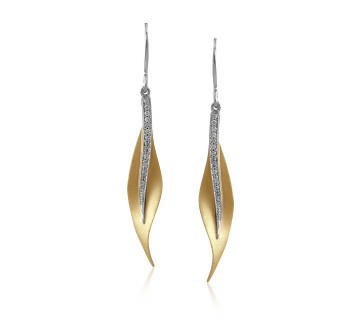 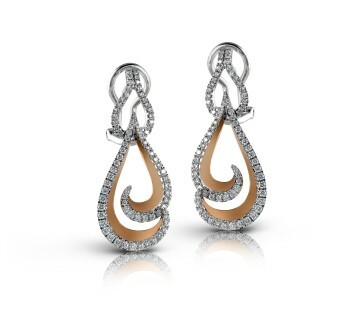 These leaf earrings showcase .15 ctw of diamonds. 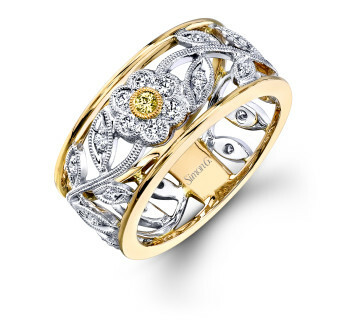 In two-tone or all one gold this .20 ctw semi-mount is sure to render her speechless. 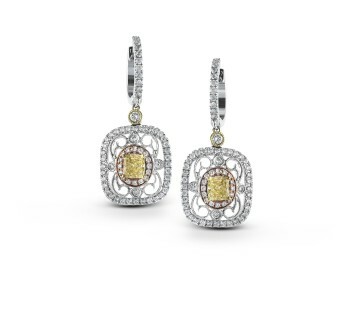 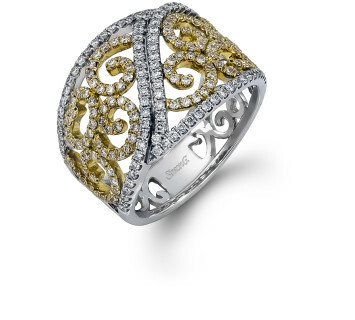 The scintillation of the hand-pickes center yellow diamond speaks to every womans heart. 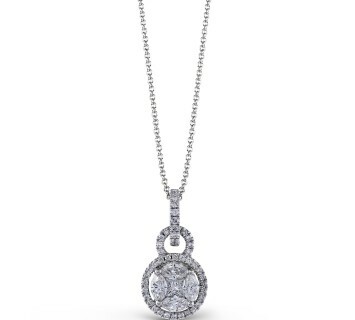 You want it! 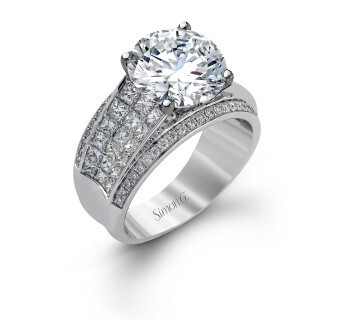 The loudest thing in the room without a voice – Simon G.
Our personal best seller has 1.0 ctw of superlative and dazzling diamonds.